Columbia Valley / Ancient Lakes, Washington State. Many of you regular readers will know that I love the Riesling grape. For me Riesling produces some of the very best white wines in the world and, in my opinion even a modest example can deliver a huge amount of pleasure. I am well aware though that many people do not love Riesling as I do and that many wine drinkers who have excellent taste in all other respects often lose all reason when it comes to Riesling. Some of the people I serve Riesling too tell me it is too sweet, even when I pour them a dry wine. Others just seem to think it is a passé 1970s thing to be locked away in a vault along with the equally dubious and hilarious safari suits, bell bottoms and wing mirrors – when was the last time you saw an old-fashioned wing mirror on a car? Riesling is frequently damned as being the grape that gave us Liebfraumilch, a wine people loved to drink in the 1970s, but now like to pretend was only ever drunk by others. In actual fact Liebfraumilch and all those other cheap German wines – Niersteiner Gutes Domtal, Piesporter Michelsberg etc. – that have almost, but not quite, disappeared from the supermarket shelves were never made from Riesling, but the lesser quality Müller-Thurgau. By the way it is possible to make good wines from that under appreciated grape too. The other day I wanted a white wine with some intrinsic purity, minerality and elegance to go with my rather wonderful home made spaghetti alle vongole – special ingredient here & here and amazingly simple recipe at the bottom of this article here. My thoughts turned initially to those lovely white wines from the slopes of Etna in Sicily. Sadly the branch of Marks and Spencer I was in did not stock their Etna Bianco and so I had to rethink my plan. At first glance they did not seem to stock many wines that did what I wanted. Last week’s Wine of the Week would have been a great match with my spaghetti and clams too, but they didn’t have that either, so I had to get creative. Focussing on the wine style rather than origin and grape variety I eventually chose a Riesling from Washington State in America’s Pacific North West. In my mind a wine like that would be a more natural partner with Pacific Rim and spicy Asian cuisine, but my spaghetti had a similar purity to it as well as a little kick of red chilli in true Sicilian style – and hey isn’t spaghetti a type of noodle? Sadly I have never been to that part of the world, but I do know that the climate is much cooler than California, so delicate grapes perform very well there. Charles Smith has become a sort of rock star wine maker since his first vintage in 2001. Originally from central California, where wine would have been all around him, he travelled the world managing bands and music tours before catching the bug and settling in Seattle to retail wine. That same year on a trip to Walla Walla, an important wine growing area in Washington, the itch became more serious and he soon settled in the area and started to make wine. 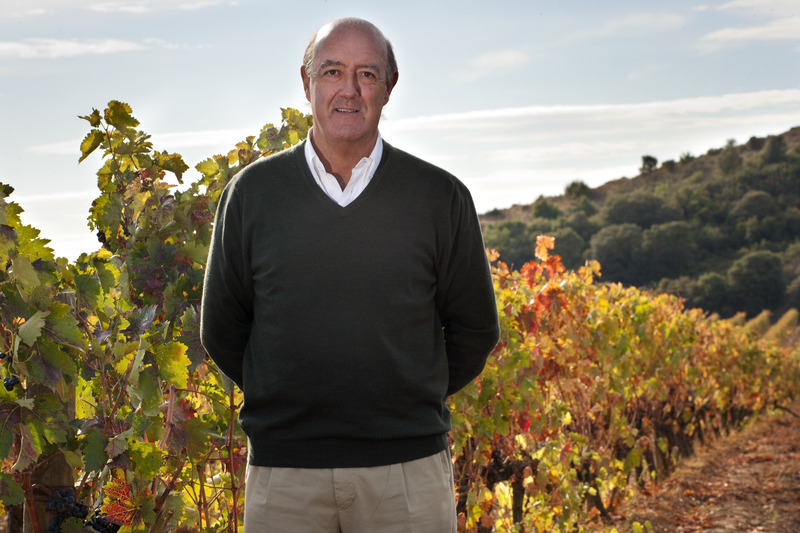 His first vintage was the 2001 and he released just 330 cases. Well that small acorn has grown and Charles now commands a loyal following as a committed, passionate and self-taught wine maker and original marketeer of his wines, much like Randall Graham in California. 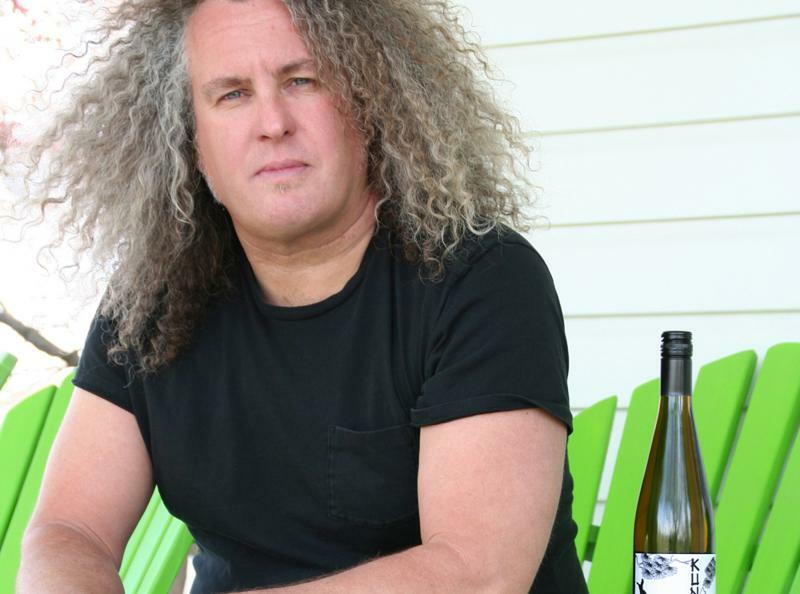 He makes a wide range of wines, but can be regarded as something of a Riesling specialist, one of his most famous wines is Kung Fu Girl Riesling. 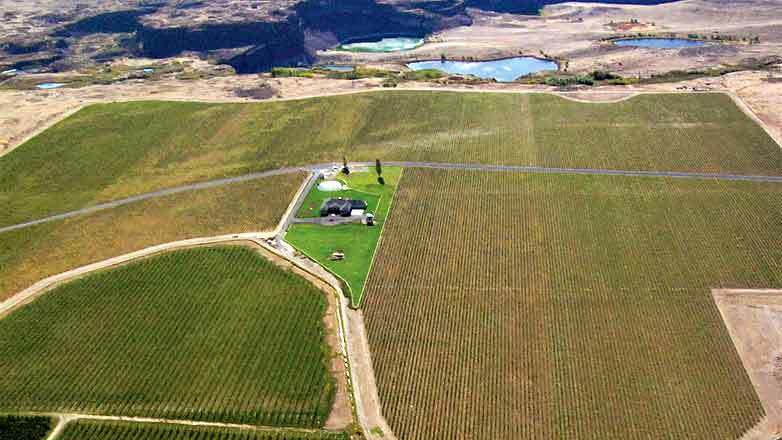 Evergreen Vineyard from the air – photo from Milbrandt Vineyards. This wine is actually a single vineyard wine from the Evergreen Vineyard which is owned by the Milbrandt Brothers, Butch and Jerry, not David and Ed by the way. 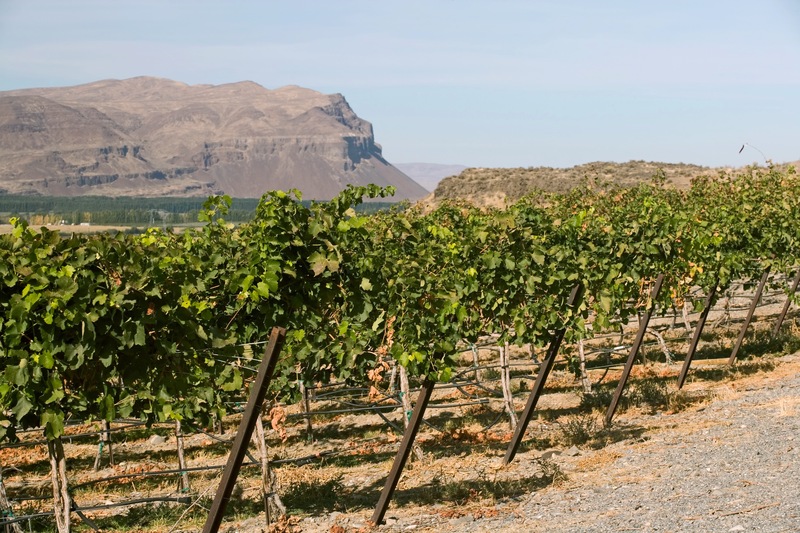 Also a source of fruit for Kung Fu Girl Riesling, Evergreen is situated in the far north of Washington’s Columbia Valley A.V.A. and since 2012 the area has had it’s own Ancient Lakes A.V.A.. Although Seattle is famously wet, this far inland the area is very dry. What’s more the place is high, cool and windy, which together with plenty of sun delivers ripe flavours at lower sugar levels, which hopefully makes balanced wines. The thin rocky soils ensures the vines have to work hard and produce concentrated grapes with good minerality, which suits Riesling very well. The man himself, Charles Smith looking suitably rock & roll. I assumed that I would like this wine, but it is very, very good in a seductively easy drinking style. The nose is aromatic, lifted, richly floral and full of tropical tinged citrus, lime drenched in fact. This limey character goes on to the palate too and while the acidity is refreshingly high and keeps the wine clean and pure, it is not tart at all. In fact the acidity has a soft sweetness to it – the wine though is dry – like lime curd or a rich key lime pie. The flavours pull off a great balancing act between being vibrant and powerful, while the whole thing is actually rather elegant, pure and laced with cleansing acidity and complex mineral characters. The Honourable Riesling delivers a huge amount of pleasure and if you are anything like me you will find it just slips down – 91/100 points. I gave it an extra point for the sheer pleasure it gave! A lovely wine to drink on its own, with spicy food, Asian food, Pacific Rim cuisine and yes it was perfect with my spaghetti alle vongole, I would like to have it with tapas too. Available in the UK from Marks & Spencer at £12 per bottle. If you are one of those people who have failed to find the joy that Riesling can offer, then this might well be the wine – give it a go, I think you will enjoy it. 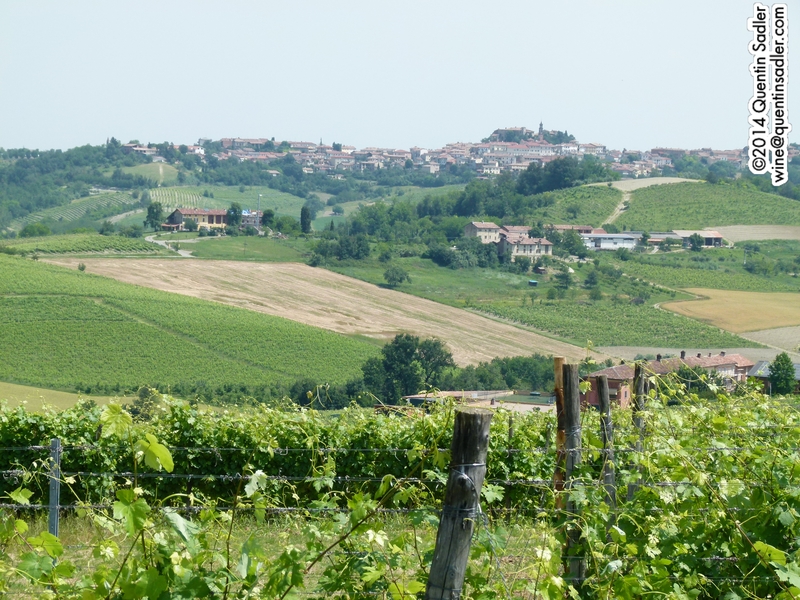 I experienced my first wine trip to Piemonte the other week and I really enjoyed it. The countryside is beautiful, the variety of landscapes in a small area is quite extraordinary – totally flat around the Po Valley, but with the towering Alps just to the north, while the rolling hills in the south morph into a coastal range of mountains towards Liguria and the sea. 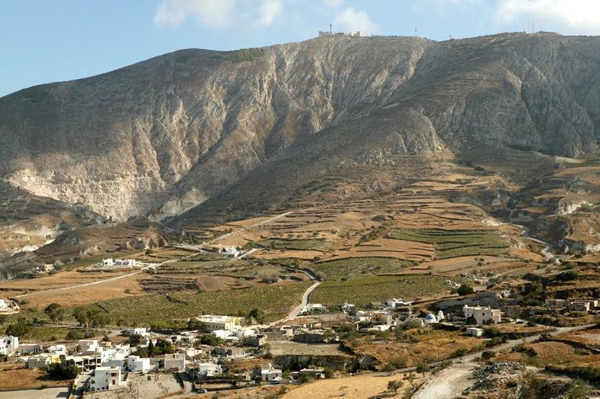 The towns and villages are delightful too, the food is memorable and the people are very welcoming. 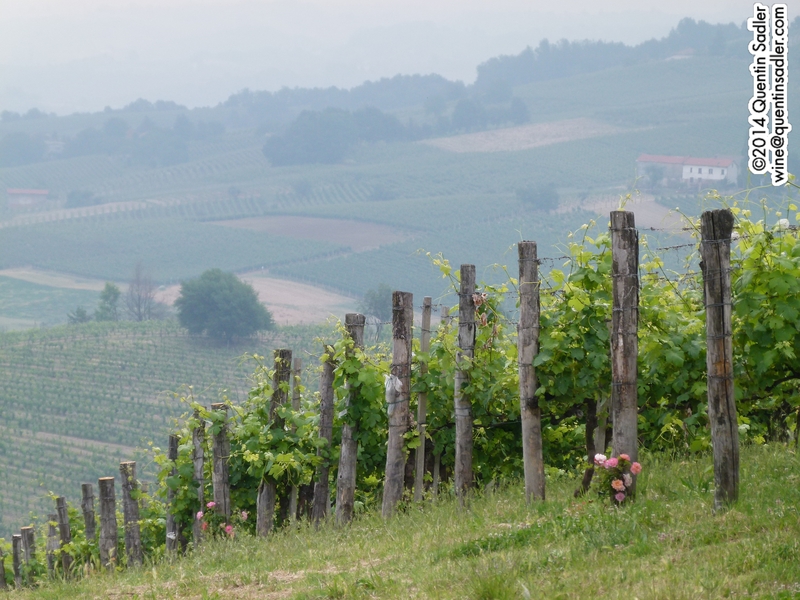 There is a great deal to enjoy in Piemonte and I recommend a visit, oh and the wines are wonderful too and come in an amazing array of different styles from a plethora of grape varieties, some well known, but some quite obscure. As soon I told people that I was going to Piemonte they jumped to the conclusion that I would be visiting Barolo, but actually my destination was the much less well known Monferrato region. Monferrato covers the provinces of Alessandria and Asti, I was visiting the bit in Alessandria. 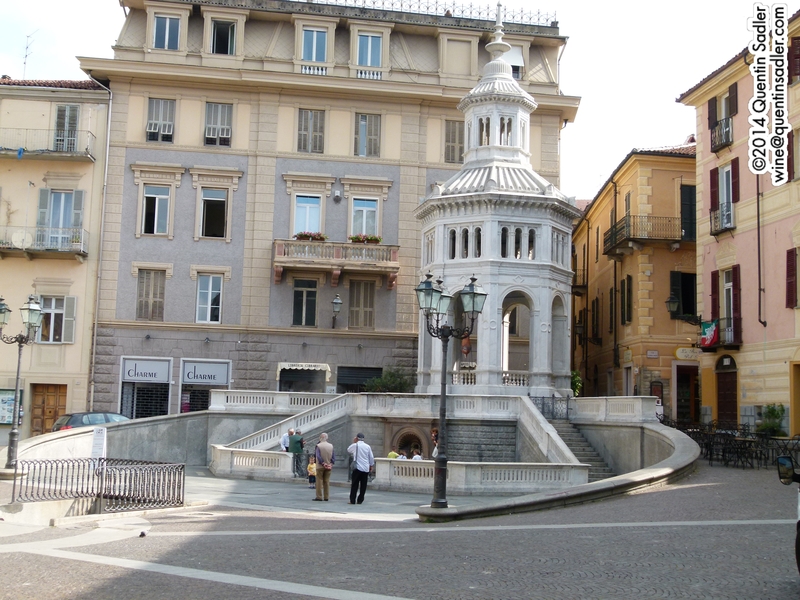 For most of the time was I based in the lovely provincial town of Acqui Terme, which was originally a Roman Spa town and the bollente, or hot spring, still bubbles up in the town centre. Il bollente, the water comes out at 75˚C. The Monferrato D.O.C. is pretty hard to pin down. It covers great swathes of territory that look and feel very different. The D.O.C. itself can use all sorts of different grapes and incorporates the territories of other wines within its boundaries, Gavi D.O.C.G. being the most famous. It also includes much of the Asti territory, so allowing many producers to make Asti, Mosacto d’Asti as well as Barbera d’Asti. The overall effect is a quite beguiling hotch potch of wine names that straddle and overlap each other. The region is divided in to two by the Tanaro River. In the north the Basso Monferrato – or Monferrato Casalese – is an open land of rolling hills that give way to the plains of the Po Valley. 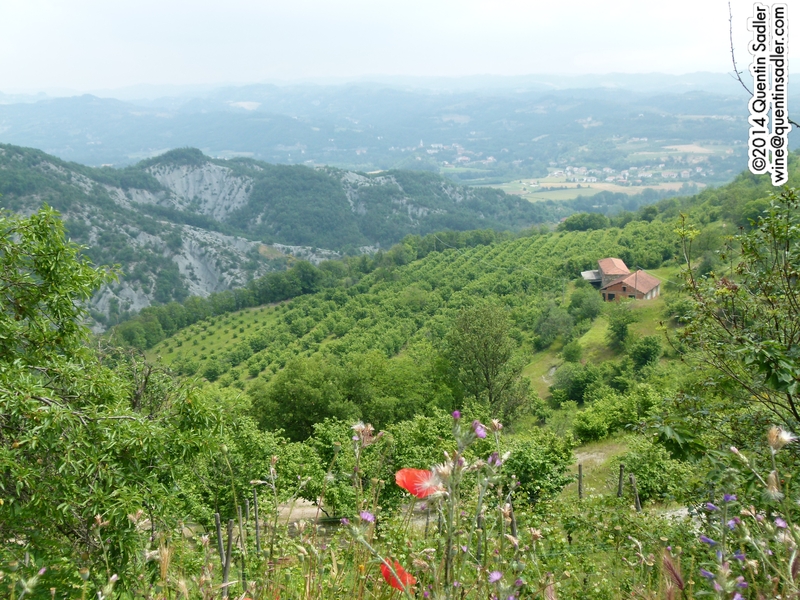 To the south there is the Alto Monferrato, which is a hilly and mountainous land that forms part of the Apennines. Culturally the whole region is diverse with Piemontese, Genoese and Ligurian influences in the food. Asti and neighbouring Alba are also centres of truffle production and they are also important in the cuisine. The most widely grown grape, the signature grape for the region is the generally under appreciated Barbera. Many others are used though, including Gavi’s Cortese, Nebbiolo, Dolcetto, Freisa and Grignolino and I will write more about those another day. Looking towards the Alps from Marenco’s vineyards in Strevi. There were many highlights on this trip and I will write about some of them soon, but one of my favourite winery visits was to the Casa Vinicola Marenco. This family winery is run by three sisters, Michela, Patrizia and Doretta, who are the third generation of the Marenco family to run the family business, interestingly the next generation is entirely male. 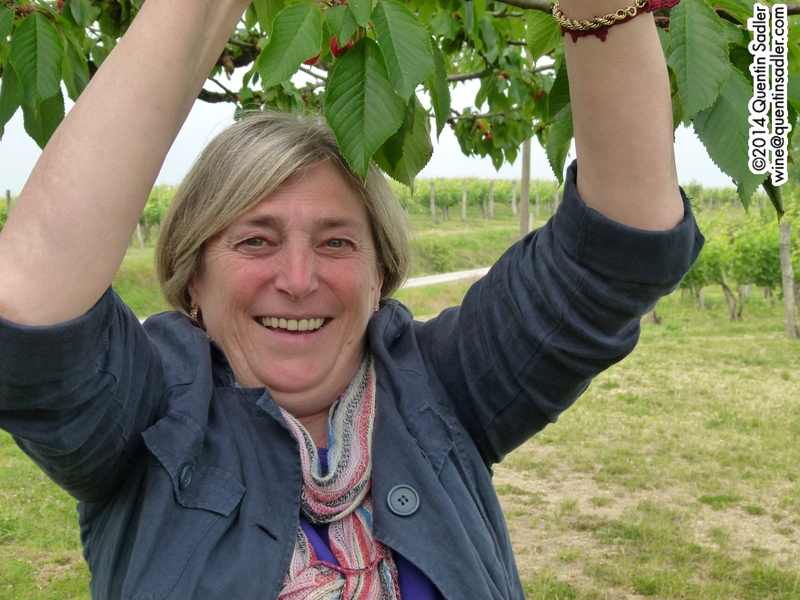 Michela Marenco picking cherries for us to eat. Our little group enjoying the cherries, that’s me front left looking serious – photo courtesy of Paul Balke. Moscato d’Asti is less fizzy than Asti itself, but tastes very similar and is similarly light light in alcohol – 5.5% in this instance. This single vineyard wine from the Scarpona slope is an exceptionally fine example with a purity, elegance and finesse to it, so much so that it tastes drier than it is, even though it has 130 grams of sugar per litre. The wine is very pale and delicately frothy rather than fizzy and the CO2 settles on the surface like lace. It is wonderfully aromatic with floral and delicately peachy notes and candied lemon peel making it smell like a freshly opened panettone. The palate is light and fresh with that frothy feel, a slight creamy intensity, and although it is sweet it also tastes very clean, fresh and lively. Candied citrus, light peach and zesty orange flavours dominate. A joyous hedonistic delight of a wine, try it with some fruit, a panettone or a simple sponge cake – 90/100 points. Click here for UK stockist information for Contero Moscato d’Asti as Scarpone is not available in the UK. Click here for US stockist information. The rarer red equivalent to Moscato d’Asti, this is made from the Brachetto grape, which is a local speciality. The grape is thin skinned, so makes pale wine, but is tannic, like Nebbiolo and is made sweet to balance the tannins in the wines, as many Nebbiolos were until the late nineteenth century. Marenco farm their Brachetto grapes in the Pineto Valley, hence the wine’s name. In many ways this is like a red partner to the Moscato, with a similar character, lightly sparkling and low alcohol of 5.5%. It has 125 grams of sugar per litre, but tastes drier. The colour is red cherry or cherry-ade even with that lacy, frothy top. It smells of tangy red fruit, cherry and strawberry, with a touch of cherrystone bitterness too. Frankly the palate tastes like a really good Black Forest Gateau and it would be the perfect partner to it too. This is so, so delicious that I could not stop drinking it – 91/100 points. I cannot, for the life of me imagine why these two wine styles are not more popular in the UK, they just deliver pure pleasure to your senses – go on, please, I beg you, give them a try. Sadly you won’t find these two particular wines in the UK as Marenco’s distributer, Liberty Wines, sell the Moscato d”Asti and Brachetto d’Acqui from the Contero estate. Luckily Contero is also owned by Marenco and the wines are equally fine. Click here for UK stockist information for Contero Brachetto d’Acqui. Albarossa is an unusual grape that is just beginning to catch on in this part of Piemonte and I tasted quite a few, but this was definitely my favourite example. In case you have never heard of it, and I hadn’t, it is a cross of Chatus (Chat-ooo) with Barbera. The position is confused somewhat by the widespread belief that Chatus is a form of Nebbiolo, so some people tell you that Albarossa is a cross of Nebbiolo and Barbera, both native to Piemonte, but that is not the case. This confusion probably arose because Chatus is known as Nebbiolo di Dronero in the Alba region of Piemonte. The wine is cold fermented in stainless steel tanks and 50% was aged for a year in large oak casks. As you might expect from this area the wine is red, quite a vivid crimson in fact. The nose offers a mix of floral and earthy notes, stones, black fruit and red too, especially plums and stewed cherries, with a dash of tobacco. The palate is soft and marked by rich smoky fruit, red and black, the texture is supple, deep and velvety, with slightly gamey, savoury flavours. All the while there is excellent balance between the lovely acidity, concentrated fruit and soft gamey, ripe tannins. I enjoyed this wine very much and was very excited to try something so completely unexpected. There is a Nebbiolo like feel to it at times, it is overwhelmingly savoury, but the fruit is richer and the tannins softer. I think this is a very fine wine and my favourite Albarossa so far – 90/100 points. Click here & here for UK stockist information. Also contact Liberty Wines. I think you can probably tell that I was completely bowled over by Marenco and loved visiting them. The vineyards were very beautiful, their wines were superb, the people were lovely and they have real passion for their land and their wines, and it shows. Do try them if you can, you won’t regret it. 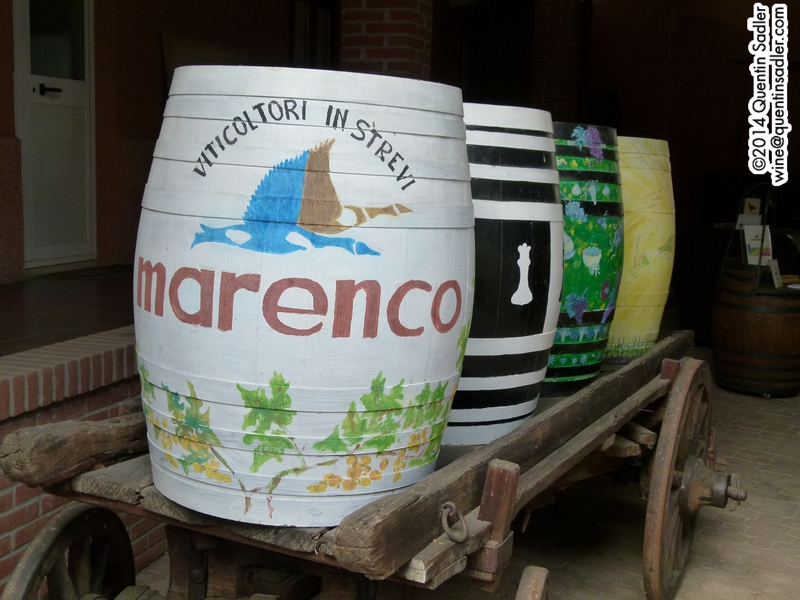 I will be writing much more about my trip to Piemonte, but Marenco was a real highlight. The entrance to Château Ksara. As some of you may know, I visited Lebanon for the first time this year and got to visit many wineries and to taste many different wines. Overall I was very impressed by the quality of what I found. I didn’t taste anything that wasn’t acceptable and most of what I tasted was very good indeed. 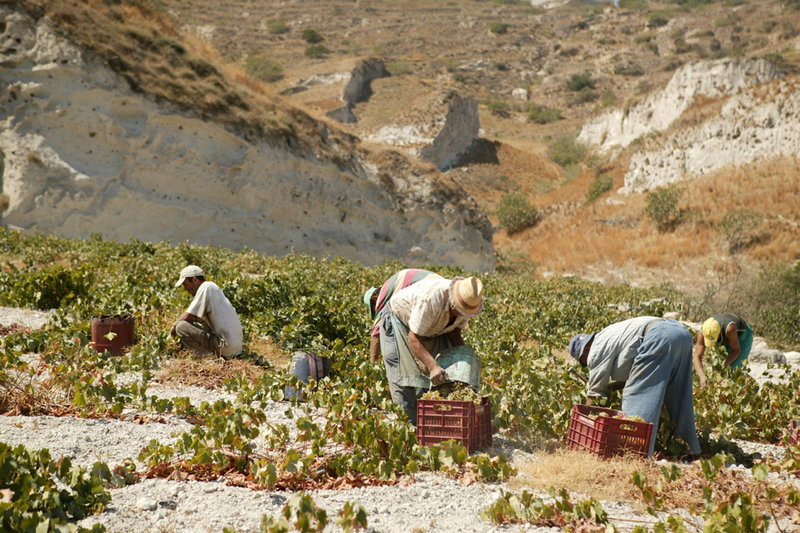 Sometimes the prices would make the wines difficult to sell on the UK market, but then Lebanese wineries are mainly small boutique operations and making wine on that scale does unfortunately cost money. However some of the wines offered fantastic value for money and a great quality to price ratio, this delicious white from Domaine des Tourelles for instance. One of the wineries that I visited was Château Ksara and they make a lovely, great value red wine that I have made this week’s Wine of the Week. Vineyards at Château Ksara, that is the winemaker James Palgé. 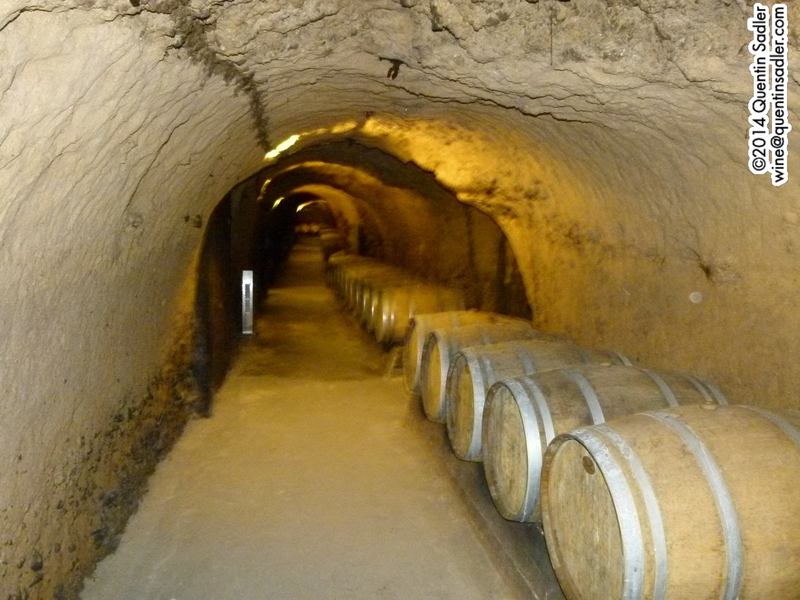 Founded in 1857 by Jesuit monks, Ksara is the oldest wine producer in Lebanon. 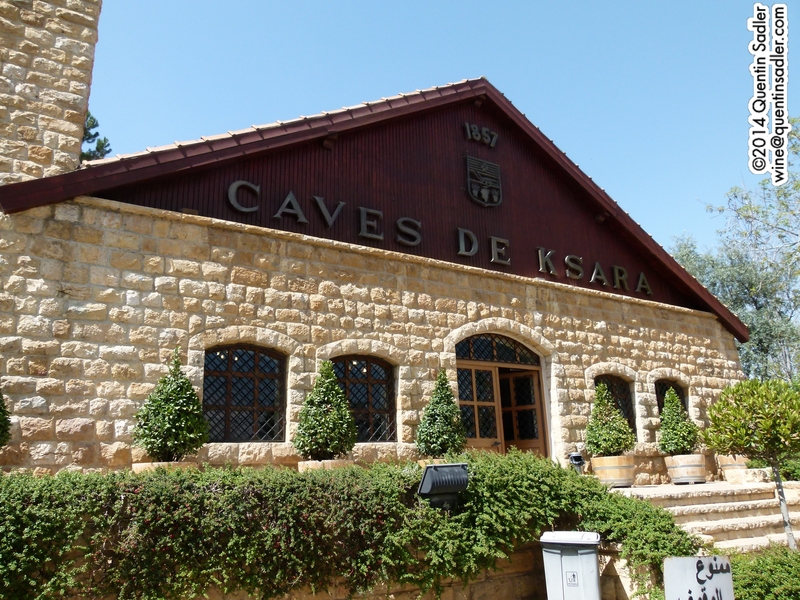 Ksara had a bit of luck in 1898 when an extensive Roman cave system was discovered underneath the winery and this was expanded and repaired to become Lebanon’s only natural cellar system. 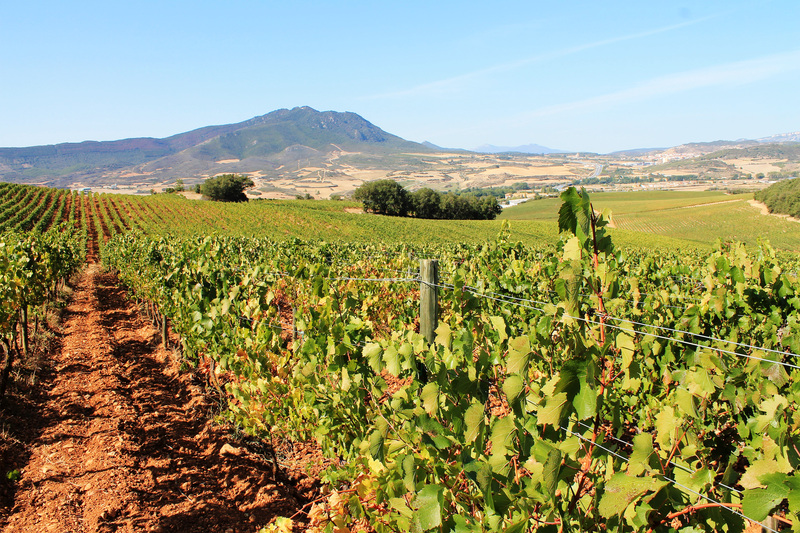 It keeps at a steady 12˚C so is perfect to mature wine, as well as being an amazing place to visit. The ancient caves at Château Ksara. 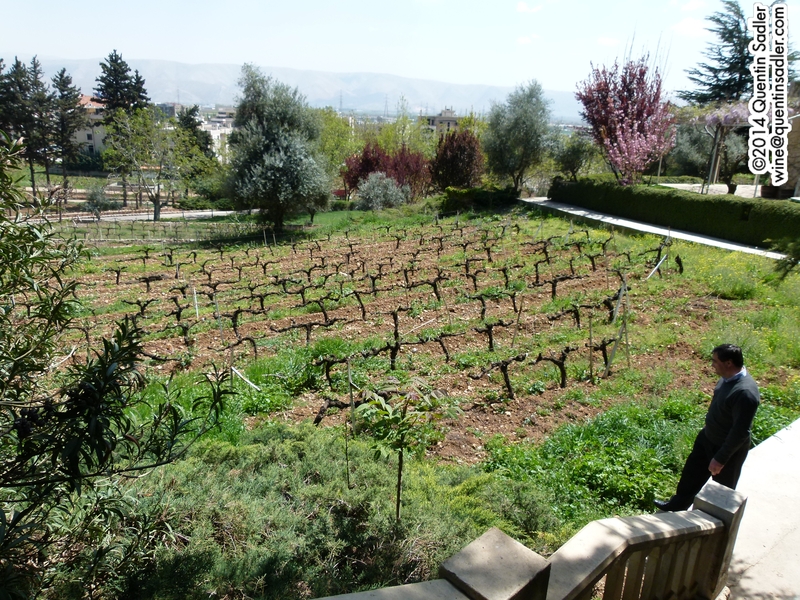 Wine production flourished and by the 1970s Ksara produced well over a million bottles a years, 85% of all Lebanese wine. In fact it was so successful that the Vatican considered that it got in the way of the religious aspects of monastic life and so instructed the monastery to sell the winery. 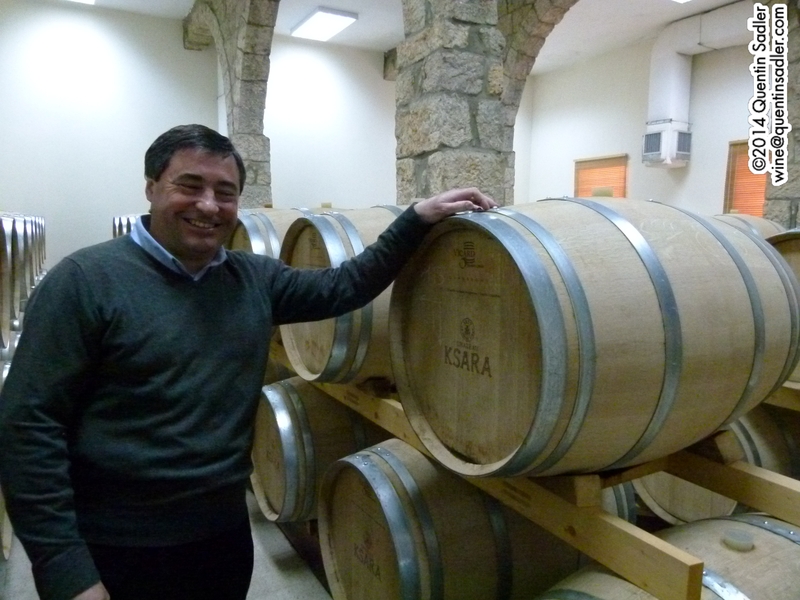 Château Ksara was bought by a consortium of Lebanese businessmen and has never looked back. I was hugely impressed by the range of wines they produce. It seems to me that they make a marvellous range of wines that stretch from attractive, easy going wines – the Gris de Gris Rosé or the Blanc de Blancs – to superbly crafted serious wines that need time to show their true worth, wines like Le Souvrain, their Chardonnay and even their standard Château Ksara red blend. James Palgé with the barrels that give that touch of mocha to his Reserve du Couvent. 40% Syrah 30% Cabernet Franc and 30% Cabernet Sauvignon, dry farmed without irrigation, cold fermented in stainless stell tanks and aged for 12 months in French oak barrels. The colour is an enticingly deep and vibrant ruby. The nose gives powerful wafts of rich cherry, blackberry and mocha, coffee notes together with a touch of earth too. The medium-bodied palate is rich with sweetly ripe fruit, the generous fruit and ripe tannins make it soft and supple. The climate shows with a little bit of heat on the finish, but this is juicy, slightly herbal, lightly spicy, attractive and very drinkable indeed. Try it with lamb dishes, from roasts to tagines and casseroles – 88/100 points. Available in the US from around $13 to $15 per bottle, click here for stockist information. If you have never tried Lebanese wine before, or just never tried anything from Château Ksara before, I do urge you to give this wine a try, you will enjoy it.